What’s the verdict: A good argument can be made for Ben Wheatley being Britain’s most versatile filmmaker. Kill List resembled Alan Clarke tackling Taxi Driver. Sightseers was Mike Leigh does The Honeymoon Killers. A Field in England resembled a Thomas de Quincey opium fantasy seared onto the big screen. High Rise proved a better David Cronenberg film than David Cronenberg makes nowadays. Add to that a couple of knockout Doctor Who episodes, and there seems little Wheatley cannot do. 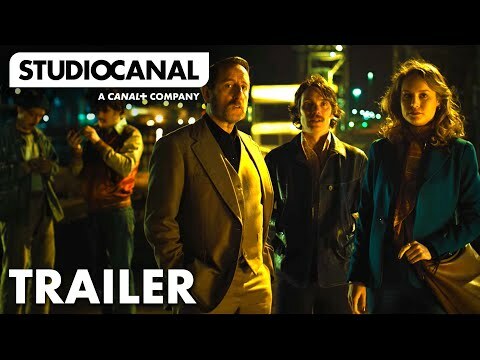 All of which means it is ever-so-slightly disappointing Free Fire resembles a UK director’s calling card movie to the Hollywood studios (it may be set in Boston but it was filmed in Brighton). A straightforward (very straightforward when compared to Wheatley’s previous films) tale of a criminal exchange gone wrong, it takes that perennial Hollywood staple, the gunfight, and plays it out over 90 minutes. Those hoping he would shoot (pun intended) a bullet ballet with the same hallucinatory panache he brought to 2015’s High Rise are likely to be let down. With the backing of executive producer Martin Scorsese, Wheatley is here to prove he can deliver the goods to a wide audience. Firstly, this means handling a big cast. High Rise had multiple players, but focused on Tom Hiddlestone’s doctor. Free Fire has Cillian Murphy and Michael Smiley as IRA triggermen Chris and Frank. Bree Larson is Justine, their mediator. Armie Hammer is Ord, representing Sharlto Copley’s South African gunrunner Vernon. Sam Riley is Stevo, Frank’s cousin by marriage, there to haul guns. Jack Reynor’s Harry is present as back-up for Vernon and his business partner Martin, played by Babou Cessay. Patrick Bergin and Noah Taylor also report for duty. The cast is as diverse and numerous as any Marvel movie, but Wheatley ensures every character is permitted a moment in the spotlight. The script, penned by Wheatley with regular collaborator Amy Jump, provides character meat with lean efficiency. Cessay’s Martin is described as a one-time Black Panther “but it didn’t work out”. Copley’s Vernon is literally all talk and little action, whereas Hammer’s Ord moves and talks with the purpose of someone who has seen serious action. With comparatively ordinary characters, the closest thing to audience stand-ins, Murphy and Larson bring high wattage movie star charisma to Chris and Justine. Together with the well-deployed cast is a thick vein of humour. Wheatley does not miss an opportunity to highlight the absurdity of the situation (including the fact this Boston seems to be without a police force). Reasons for the showdown are almost inconsequential. And when the lead starts flying Free Fire’s characters are as annoyed at being shot as they are in pain. Ruined suits are complained about, characters grin when someone they hate takes a round and the sheer level of destruction (aided by Martin Pavey’s impactful sound design) spins higher and higher. In a nice touch, characters become truly knackered from the abuse they’re absorbing. Along with a generous helping of belly laughs is a good sense of tension in the early scenes and some well-executed action. Although not great action. 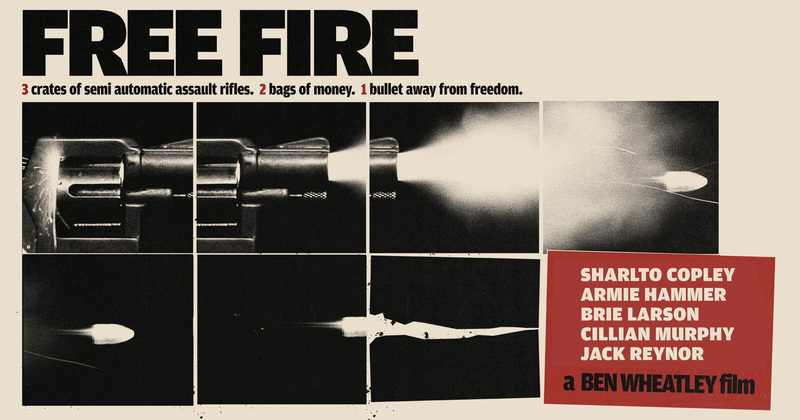 Nothing in Free Fire compares to what Gareth Evans brought to his Raid movies or the Jackie Chan-style mayhem of Edgar Wright’s The World’s End. Free Fire’s gunplay is good enough, but it takes a wayward van to deliver the film’s most memorable moment. And the geography of the warehouse is never properly established; you’ll be scratching your head at times to work out who is where. Inescapable déjà vu permeates proceedings. Reservoir Dogs did something similar (and better) over twenty years ago, as did the more ambitious and little known Jim Caviezel film Unknown. If Free Fire lands Wheatley a David Fincher style thriller out in the US, then mission accomplished. But, could it please have the director fully locked and loaded with the daring and ambition we’ve come to expect?